As the energy behind 2018 FRINGE WORLD, Kleenheat will be on hand from 26 January – 25 February to help make WA’s largest and most popular annual entertainment event the best one yet! In the lead up to all the fun and entertainment planned across two big months at Perth festival locations, we’re shining the spotlight on four FRINGE WORLD shows heading to WA fresh from entertaining audiences across Australia and overseas. After three sell-out seasons at FRINGE WORLD the creators of La Soiree return to Perth with a brand new show! 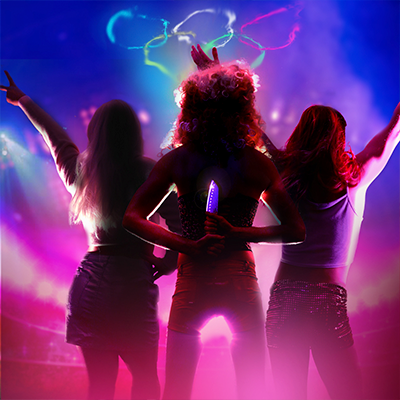 Loose, glorious and irresistibly fun, Club Swizzle is a night of sassy entertainment where the mayhem gets kicked up a notch. The cheekiest souls in showbiz gather on, in and around the bar where legends are made and good times abound. It’s a melee of outrageous cabaret, air-defying acrobatics and infectious musical revelry, backed by a band with a repertoire as big as its bar tab. With no stage, no rules and no regrets, there’s no place like it. Leave your coat and your hang-ups at the door and book now to join the Club! This performance is proudly presented by Gravity & Other Myths (GOM), a multi-award winning and well-respected acrobatics ensemble from South Australia. A Simple Space sets audiences alight with non-stop feats of exhilarating acrobatic ability, with world-class acrobats stripping their craft down to the essentials where talent and creativity shine through in a celebration of strength, playfulness, and friendship. A depressed cactus mascot and an aspiring mime re-enact their relationship history in the style of a children’s show. Watch in wonder and alarm as Trevor and Amanda fight a ticking clock and the limits of a G-rated world in this dramedy bursting with talent show grudges, mystery gifts and virginal puppets. 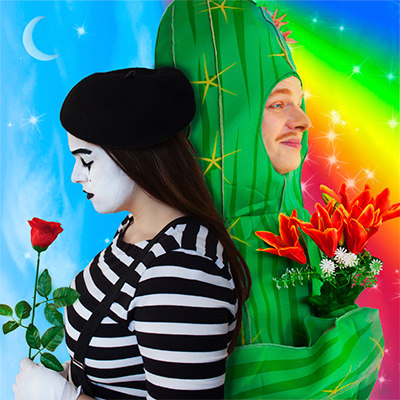 Roby Favretto and Caitlin Spears present Cactus and the Mime, a hybrid theatre performance inspired by their extensive experience entertaining children. As their first major collaborative work, this show premiered at Melbourne Fringe Festival 2017 to critical acclaim and received the WA Tour Ready Award as well as a nomination for Best Performance. Fresh from knock-out reception in Melbourne, WA audiences can step inside this murderous, drag re-imagining of the Sydney 2000 Olympic Opening Ceremony. As the excitement grows for the Opening Ceremony so too do the dreams of Vanessa Amorosi’s three desperate backup singers. But how far will they go to step out of the shadows and steal the spotlight? Bullets fly through a sea of confetti in this queer spectacular for absolutely everybody! Samuel Russo, Tom Halls, Adam Ibrahim ft. Simone French are four Melbourne indie theatre favourites who make “tight and terrific” and “ridiculous and magnificent” theatre. Collectively they’ve been storming festivals around the country for the past five years and in 2018 make their first appearance in Western Australia. FRINGE WORLD showcases a diverse range of amazing acts – some really pushing the envelope. To help select the perfect show for you, we’ve introduced a simple rating system: the Kleenheat Sizzle Factor. Every show in the FRINGE WORLD program has been rated as Mild, Medium, Hot or Very Hot based on how racy the performance. If you’re looking for some good clean fun with the family, maybe pick a Mild performance. But if you like to walk on the wild side, choose a Very Hot act that’s guaranteed to blow your mind! *Header image: El Bizarro: Glamour! Danger! Freaks! – learn more about this show. They all look spectacular , I would enjoy watching any of the shows. 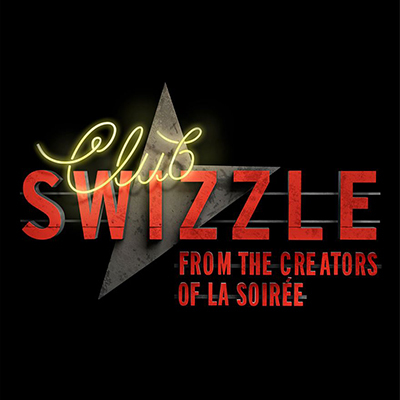 Would love to see Club Swizzle…….. Yes, it’s supposed to be amazing! Don’t forget to enter our customer competition. The Fringe World shows all look feakin” good!! A Simple Space sounds great..love the Fringe Festival.